In the past, programming electronics has taken proprietary software on a PC or Mac. With Microsoft MakeCode and CircuitPython, users have the choice of programming their projects with the computer of their choice: PC, Mac, Linux, and Chromebooks. Yep! Chromebooks have been introduced to homes and schools as a low cost alternative to more expensive computers or tablets. Historically it's been challenging to program on a Chromebook because you can't install IDEs or compilers without unlocking them. But thanks to MakeCode and CircuitPython - its a lot easier! Chromebooks run a small operating system called Chrome OS. A Chromebook uses Google applications for web browsing in Chrome, word processing, spreadsheets and other basic applications via cloud-based Google services. Chromebooks can also download applications via the Chrome Web Store and the Google Play store. MakeCode uses the Chrome browser and does not require any app support. 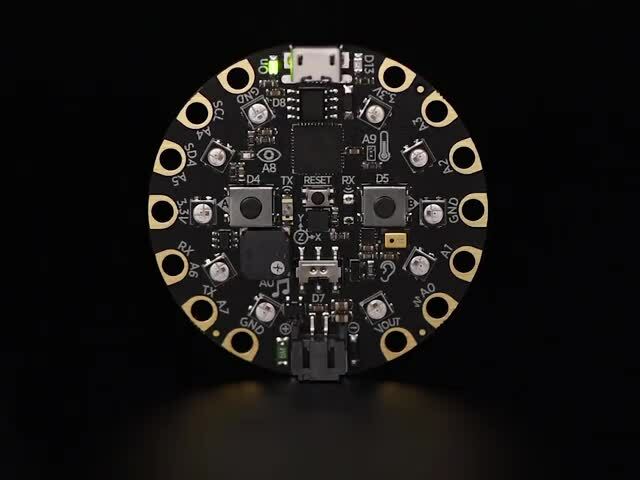 CircuitPython will use two apps to edit files and to interact with the board. Which Chromebook should I use? There are a good number of vendors selling Chromebooks. You may be limited to the Chromebook at a specific institution or you may be looking to purchase one. More recent releases generally have better capabilities and processors, making your experience faster and better. Consider support and warranty issues, plus consider the return policy if you do not like the unit. Be sure the device has a USB port for connecting microcontroller boards. A USB2 port is fine as is USB3 (which is USB2 backward compatible). USB C ports may need an adapter to work. If buying a used device, also consider how old the unit is, how much use it received, battery status, and functionality in addition to the above considerations. Very early generation devices may have less memory or limited processing compared to newer units but may be bargains. Ensure used units have chargers and that the charger is the correct one for that device. In general, Chromebooks appear to come with either 2GB or 4GB or RAM memory and generally 16GB or more solid state disk space. If you can get a unit with 4GB memory, it may allow you to do more than 2GB memory units. A good return policy may help if you feel less than satisfied. This guide was first published on Nov 14, 2018. It was last updated on Nov 14, 2018. This page (Overview) was last updated on Apr 20, 2019.